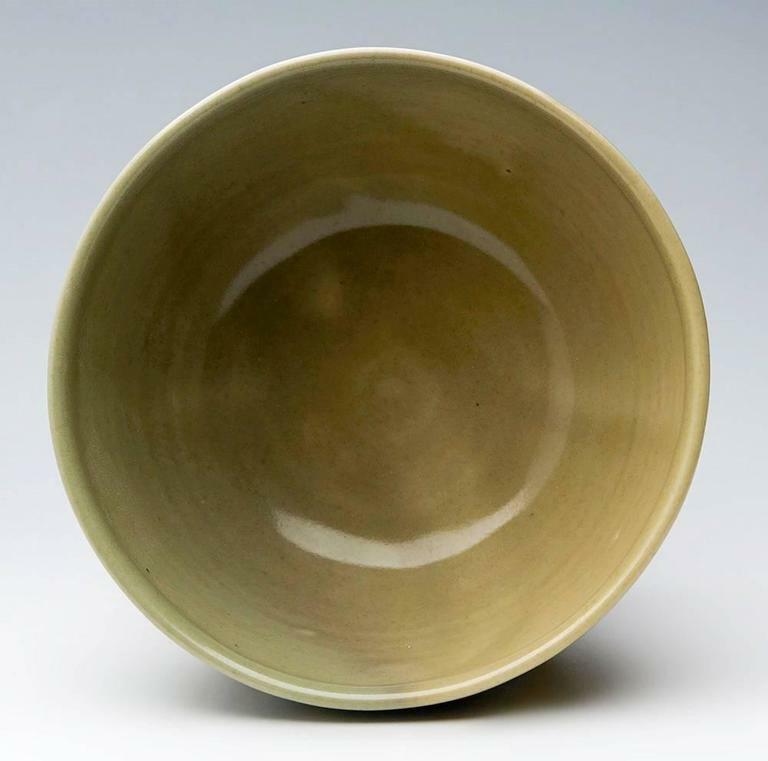 A Leach Pottery studio pottery footed bowl decorated in celadon glazes by David Leach and dating from the early to mid-20th century. 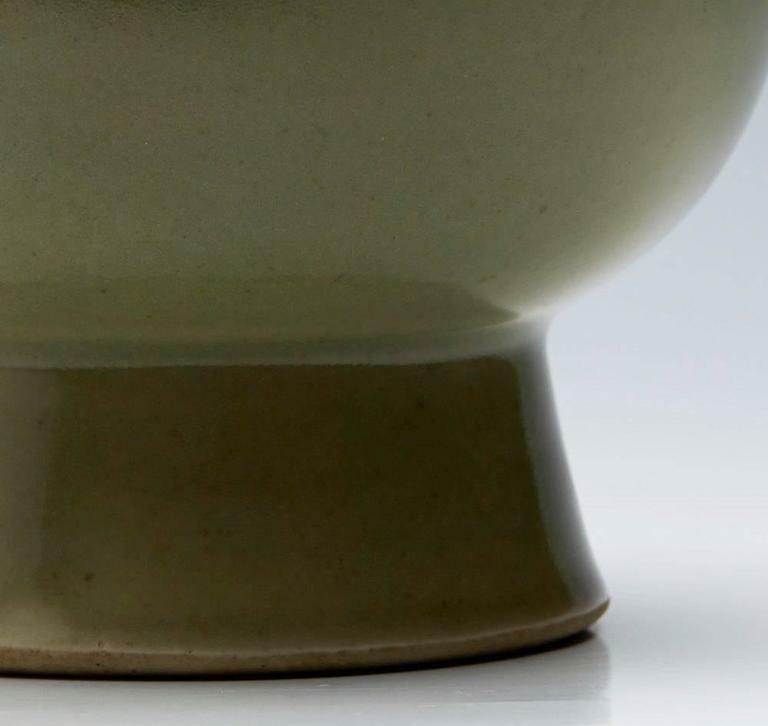 The rounded porcelain bowl stands raised on a conical shaped foot and is decorated in celadon green glazes with a lighter band down one side. The bowl has an impressed Leach pottery mark along with a LD mark for David Leach impressed to the base. 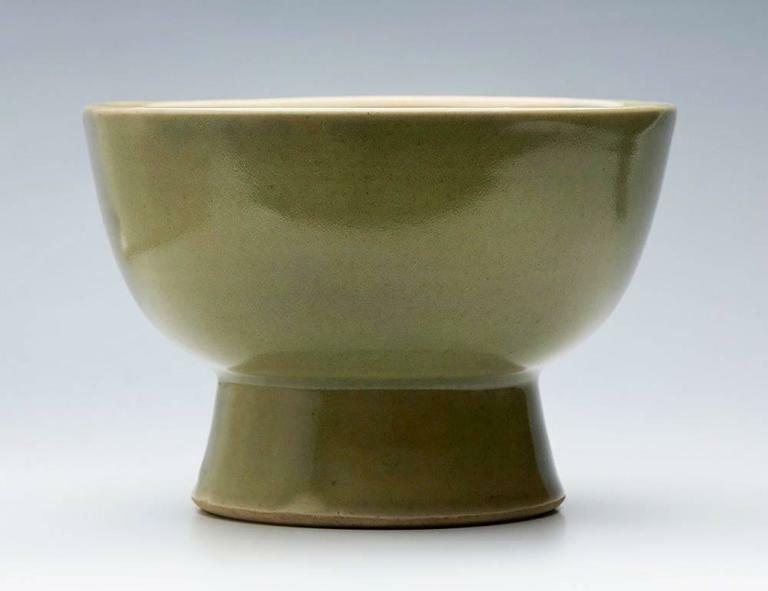 A monumental-scale mid-20th century American studio hand-thrown glazed ceramic bowl with fantastic texture and earthy neutral glaze colors. Signed illegibly on the bottom. Beautiful signed California artist Laura Andreson celadon green low bowl. 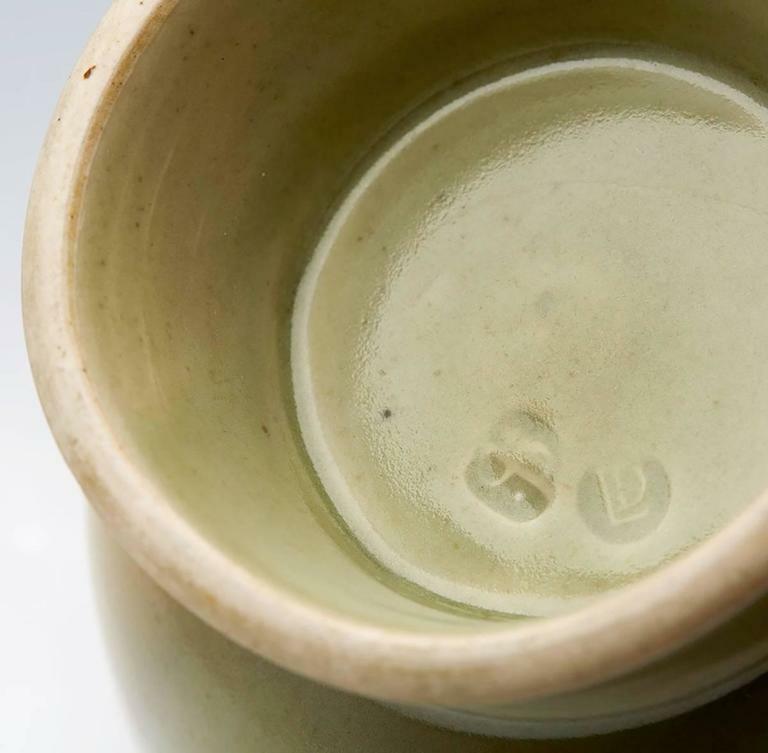 Hand thrown by the artist. Measures 6" wide. In excellent shape. 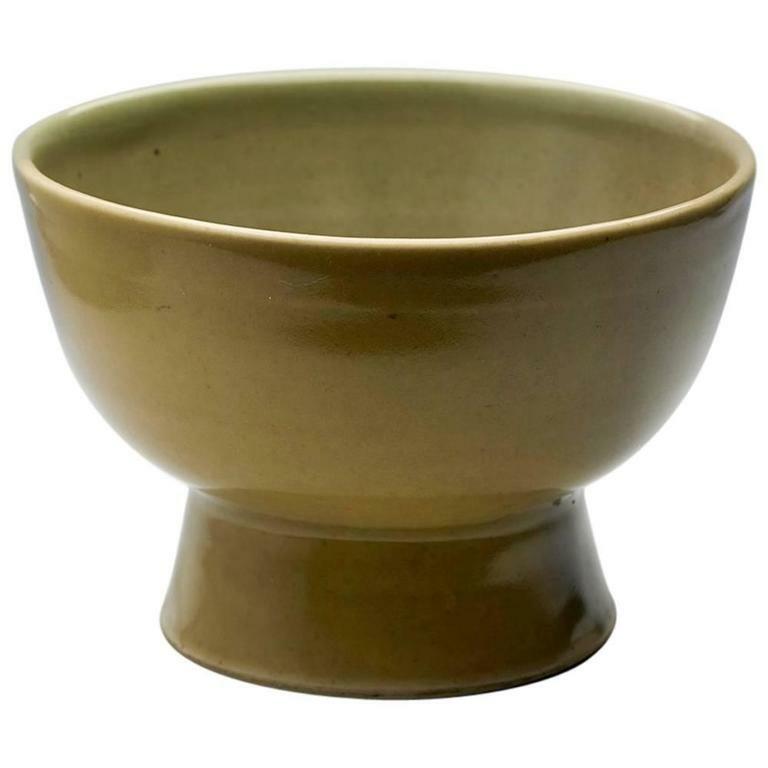 A tall and large ceramic bowl from Indonesia with brown ridged exterior and a green glazed interior, circa 1960. 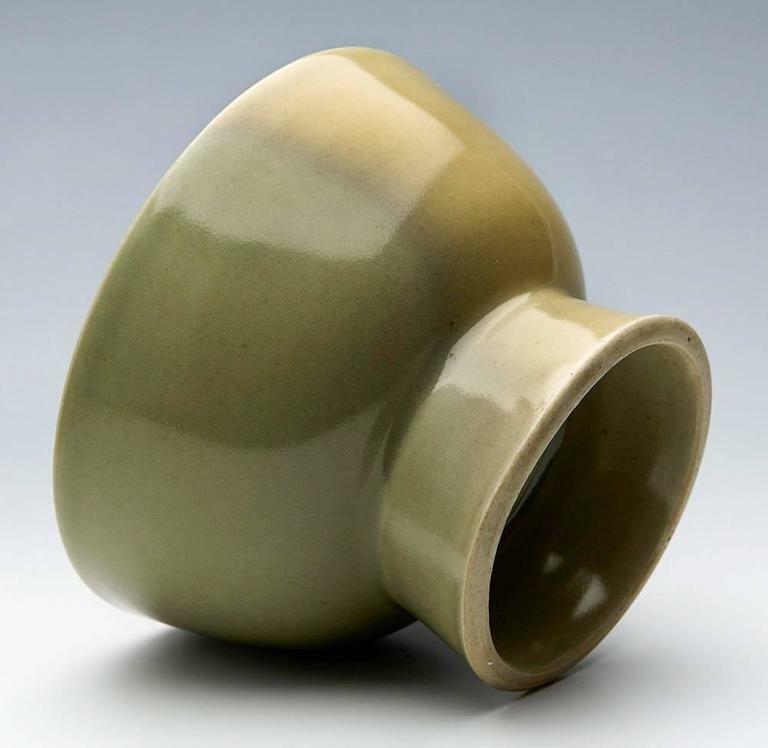 Mid-20th century studio pot in citron Dimensions: 9.25 in H x 8 in W, with 6 in opening and a 5 in base.